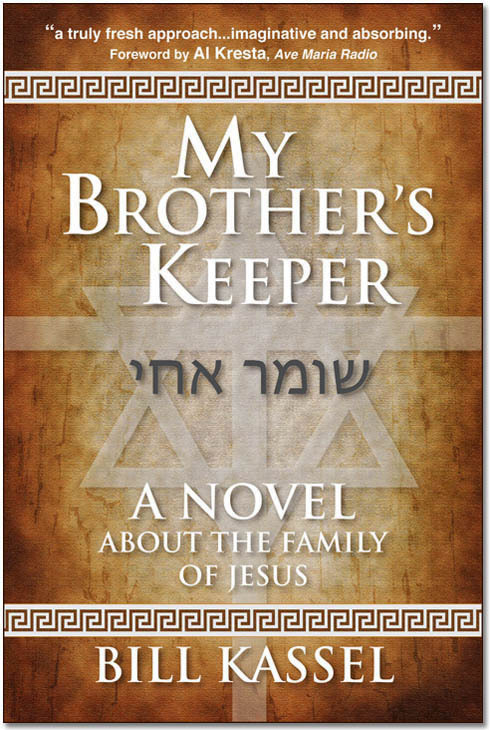 I’ve written a historical novel that offers a highly unconventional portrait of Jesus’ family. The book’s plot is entirely consistent with orthodox Christian beliefs. Nevertheless, in other times and places, deviating from the common representation of beloved religious figures might have gotten me burned at the stake. So, as you can imagine, freedom of expression is precious to me. Tolerance for views that are irregular, unusual, quirky — even offensive or insulting — is what makes civil life possible in our pluralistic society. It’s also what makes progress possible, because challenging accepted assumptions can spur new and original ways of thinking. And that keeps tradition from becoming restrictive. This understanding is rooted in our historical experience. We know that many of our ancestors were prisoners of tradition — bound to feudal land, fated for indenture in crafts handed down over generations, locked in peonage or servitude, prohibited from personal advancement. They escaped all that, came to a new country, made new lives, and bequeathed to us a freedom that makes our strivings possible. Now this is not to say that there aren’t limits to self-expression. Civil life also depends on consideration of other people’s views and feelings: on civility, as it were. A certain politeness is definitely called for. There’s a balance to be achieved. And two controversies currently in the news demonstrate how tricky it can be to strike that balance. First is the dispute over the Confederate battle flag. While the crossed stars and bars aren’t a spoken idea, this graphic symbol is both a historical artifact and a powerful icon for ideas that have ongoing relevance. Beyond this ironic contrast, the battle flag has long carried a more general suggestion of individualism, spontaneity, free thinking — a kind of sassy self-assertion that appeals to many folks across America. The other controversy in the news surrounds those outspoken comments about illegal immigrants by Donald Trump. With recent U.S. outbreaks of diseases endemic to Latin America and news accounts of vicious crimes perpetrated by returned deportees (sometimes returned multiple times), Trump’s observation that Mexico “isn’t sending us their best” — impolitic as it was — has a certain ring of truth. Viewed in that perspective, Trump’s description of today’s Mexican immigrants was narrow, to say the least. But it’s gained traction with a large segment of the American public that sees The Donald as a rare bird: someone with political ambitions who’s willing to speak candidly about the hot-button immigration issue. What has been the response of the political-business-academic-media leadership class in both the Confederate flag and Donald Trump controversies? Earnest discussion? Careful analysis? Vigorous debate? It’s not sufficient to reserve the flag to those venues relevant to its historical context (museums, Civil War battle fields, military cemeteries, and the like). Rather, it must be erased from our public consciousness. It’s not sufficient to counter Trump’s views with reasoned argument, to deny him the votes he seeks to achieve his presidential dream. Rather, his business must be destroyed and his character assassinated. I don’t doubt that some black people find the Confederate flag a hurtful symbol of past wrongs. But I question whether concern for their feelings is what’s driving this controversy. I would argue that those feelings (and the flag, for that matter) are being exploited to advance the doctrine that no matter what black people do, no matter how hard they try, they will always be held down by a lingering racism the flag is said to represent. As evidence I point to the speed with which this controversy was fanned into a blazing crisis after the battle flag was linked to Dylann Storm Roof, that sad little monster who murdered nine people at Charleston, South Carolina’s Emanuel AME church. It’s obvious that the kindling was already stacked for this fire, awaiting a handy match. Trump too is being used, as an example of what can happen to anyone of prominence who’s not on board with the Obamist policy of open borders (a policy supported by large segments of our international corporate community). Problem is…Trump’s words have tapped into a deep well of feeling among a broad public. People are pissed off at being lied to by the Administration about what’s really going on with the flood of illegal’s inundating huge sections of the nation. Trump’s “offensive” remarks — and all the invective they’ve brought down on him — may just get him elected President of the United States. Hey, it could happen. Was Barack Obama a more likely a presidential contender? The impetus behind both of these controversies is the insidious notion that ideas or symbols that are out of conformity with current favored assumptions must not be tolerated in our civic culture. They must be driven out. Sir Cedric Hardwick delivered that speech beautifully. But the spirit behind it is unconscionable. “Political Correctness” is itself a novelty — an alien ideology that has no legitimate pedigree in the history of American thought. It is a pretense: narrow-mindedness masquerading as compassionate concern. Yet those imbued with it have the gall to assert that their opinions are the prevailing wisdom, their way of thinking the only one that’s acceptable. This is preposterous. More to the point, it’s stifling and destructive. Fortunately, the American people are coming to realize the danger it represents to our way of life. I sense a reaction building. And if it gets up enough steam, today’s arbiters of correctness may learn how unsustainable their ideology really is. “It is not a sign of racism or jingoism or nationalist supremacy to require that foreigners respect U.S. borders and follow legitimate immigration procedures — or to insist that American citizenship confers certain rights and privileges that aren’t available to non-citizens. “What’s more, illegal immigration is a crime. And despite any humanitarian intentions which might be motivating them, those who encourage illegal entry into the United States, or who assist or shelter or employ undocumented aliens are abetting crime and, in some instances, actually putting lives in jeopardy. As such, they are acting immorally…. “Political Correctness” has its sillier aspects. For instance, the 1980s hit TV series, “The Dukes of Hazard,” has gotten caught up in the Confederate battle flag controversy because the roof of Bo and Luke’s beloved General Lee race car was bedecked with the crossed stars and bars.